Within a span of four days, the Kabila regime's security forces killed two students and injured many others at the University of Kinshasa (UNIKIN). The Congolese police fired live bullets on students who were protesting because the start of school was delayed due to a strike. The students were demanding the immediate resumption of classes. Since January 2015, following the Telema uprisings, UNIKIN has been under occupation by Congo's security forces and infiltrated by the Kabila regime's intelligence services. The latest clash occurred as a result of a strike by university professors which began on October 8th. Frustrated about not being able to begin classes for the new school year, UNIKIN students demanded a resolution of the strike by protesting. 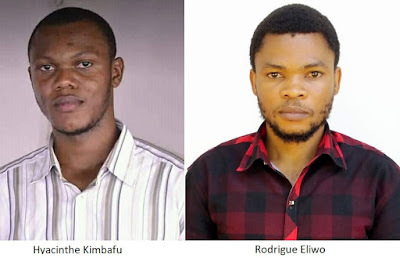 In response to the students call for a return to classes, the police violently clamped down on the protests, resulting in the death of Hyacinthe Kimbafu who was studying computer science and Rodrigue Eliwo a student studying biology. The UNIKIN students have continued to protest both the strike and now the killing of their fellow students. One of the Lumumba Scholars, outraged by the killings says "It is unconscionable to see the youth killed for demanding their rights. What kind of country are we living in where demanding our rights brings with it a death sentence?" A number of the presidential candidates (elections are scheduled for December 23rd) and political figures have condemned the police killing of the two UNIKIN students. The Congolese Association for Access to Justice (CAAJ) has called on the Congolese government to remove the police force from the campus and bring charges against the officers responsible for killing Hyacinthe and Rodrigue. Joan Nyanyuki, Amnesty International Director for East Africa, the Horn and the Great Lakes said "The government must immediately launch a thorough and impartial investigation into these student deaths and bring to justice those found to be responsible." Congo's security forces must be held to account for the killing of Rodrigue and Hyancinthe. Click here to let Steve Mbikayi, Minister of Higher Education and Marie-Ange Mushobekwa, Minister of Human Rights know that the use of lethal force against students on campuses is a crime and the police responsible for the killings must be brought to justice.